In marketing generally and in retailing more specifically, a loyalty card, rewards card, points card, advantage card, or club card is a plastic or paper card, visually similar to a credit card or debit card, or digital card that identifies the card holder as a member in a loyalty program. Loyalty cards are a system of the loyalty business model. In the United Kingdom it is typically called a loyalty card, in Canada a reward card or a point card, and in the United States either a discount card, a club card or a reward card. Cards typically have a barcode or magstripe that can be easily scanned, and some are even chip cards. Small keyring cards (also known as keytags) which serve as key fobs are often used for convenience in carrying and ease of access. By presenting the card, the purchaser is typically entitled to either a discount on the current purchase, or an allotment of points that can be used for future purchases. Hence, the card is the visible means of implementing a type of what economists call a two-part tariff. Application forms usually entail agreements by the store concerning customer privacy, typically non-disclosure (by the store) of non-aggregate data about customers. The store uses aggregate data internally (and sometimes externally) as part of its marketing research. These cards can be used to determine, for example, a given customer’s favorite brand of beer, or whether he or she is a vegetarian. Where a customer has provided sufficient identifying information, the loyalty card may also be used to access such information to expedite verification during receipt of cheques or dispensing of medical prescription preparations, or for other membership privileges (e.g., access to a club lounge in airports, using a frequent flyer card). In the U.S., several major supermarket and fish market chains and the three major pharmacy chains require the cards in order for customers to receive the advertised loyalty price. These include Smith’s, Kroger and Safeway (each through both its own name and many of its regional chain names), Winn-Dixie, Harris Teeter, Ingles, Giant Eagle, Tops, Price Chopper, ShopRite, A&P and its related chains Pathmark, SuperFresh and Waldbaums, Wegmans, Stop & Shop and sister chains Giant-Carlisle and Giant-Landover, Rite Aid, Walgreens and CVS/pharmacy. Many retailers allow accumulation of fuel discounts. Some have tie-ins with airline frequent-flyer programs, and some agree to donate a percentage of sales to a designated charity. Most notably, Wal-Mart does not have a loyalty card plan (though someone who purchases a gift card can generally get a 3 cent discount per gallon of gas at the fuel stations located on Wal-Mart premises). The practice is also common among book and music retailers, from large chains to independent retailers. In some instances, the customer purchases the card and receives a percentage discount on all purchases for a period of time (often one year), while in other instances, a customer receives a one-time percentage discount upon reaching a specified purchase level. (For example, a bookseller’s loyalty card program might provide a customer with a 10% off coupon once the customer has spent $200 at the bookseller.) Major retailers Best Buy and Sears offer loyalty programs that offer points redeemable for dollar-amount discounts after accumulating a set number of points along with other discounts from time to time. Independent hardware stores such as Ace Hardware and True Value added customer loyalty programs in order to compete more effectively against larger chains as well as gather customer data. Ace’s program also offers customers a way at the time of purchase to get items at a price which would normally require completing a mail in rebate. In addition, office supply retailers Staples, Inc. and Office Depot started issuing club cards in 2005, which offer rewards in the form of credits towards future purchases on some or all items purchased in the store or online (which items and how much credit changes periodically). Almost all major hotel chains (Best Western, Choice Hotels, Holiday Inn, Marriott, Super 8 Motels, etc.) have cards that allow guests to earn either points (redeemable for discounts, future stays or other prizes) or airline miles (Hilton‘s HHonors program allows guests to earn both points and miles on the same stay, the only program to date that does so). All major US airlines also offer rewards credit cards. Other travel related reward programs include SeaMiles, with points that can be redeemed for cruises. For now, some American retailers have not implemented club cards, including some grocery stores Whole Foods and ALDI. Between 2007 and 2013, Albertson’s, Shaw’s, Acme Markets, and Jewel-Osco (all owned by Albertsons LLC) eliminated their loyalty cards in favor of discounts for all shoppers and targeting inventory to particular neighborhoods. In a few cases (e.g., Federated Department Stores, Kohl’s) this is because the retailer already issues its own credit cards, and thus already has a direct relationship with the consumers most likely to shop at its stores. Max & Erma’s has a loyalty program called Good Neighbor Rewards. Guests are rewarded based on their number of visits by either 5%, 10%, or 15%. Additionally, guests are periodically given additional rewards by way of free items added to their loyalty card electronically. Truck stop chain Pilot Travel Centers‘ program Driver Payback Points rewards truck drivers for fueling up by giving them points that can be used for purchase inside the store. Although it can be used for general merchandise, the program is specifically targeted to be redeemed at the restaurant chain located inside each location. A few states regulate club cards. Supermarkets in California are subject to the Supermarket Club Card Disclosure Act of 1999. Prominent online loyalty programs include MonaBar, Memolink, Mypoints, FatWallet, Ebates, Perka, Belly, iCC, and Swagbucks. Some online loyalty programs focus on “other-directed” consumers including Upromise, Schoolpop, The BSP Rewards Network and iGive.com. Several banks also have rewards programs, including three of the Big Four banks of the United States – Wells Fargo being the lone exception, CapitalOne, and Citizens Financial Group. PNC Financial Services launched a program in 2009 as a direct result of its acquisition of National City Corp., which National City already had, along with a mortgage division – neither of which PNC had had before the deal. Recently, a lot of attention has been paid[by whom?] to the loyalty programs due to companies like Foursquare, Cardmobili and Shopkick providing new ways for consumers and businesses to communicate. All three companies focus on using smartphones such as the Android and iPhone – Foursquare partnered with AMEX to provide Foursquare points when using an American Express card, and Shopkick partnered with Visa to provide Shopkick points when using a Visa card at locations such as Best Buy, Toys “R” Us or Old Navy. The oldest loyalty program in Canada is probably Canadian Tire money, in which the Canadian Tire company gives out coupons which look like currency. Air Miles is Canada’s largest loyalty program – Air Miles can be earned at more than 100 different sponsors and almost a thousand different rewards. Aeroplan began in 1984 as Air Canada’s frequent flier program, but since 2008 has been owned by Aimia Inc. (previously Groupe Aeroplan Inc.) and operates as a more widely based coalition program. HBC Rewards/Club Z is a large program first started by Zellers in 1986 as Club Z. Loblaws offers the President’s Choice Financial program where cardholders earn PC Points towards free groceries. Some retailers run their own rewards programs, such as The Body Shop‘s Love Your Body Card, Shoppers Drug Mart‘s Shoppers Optimum Card, Staples Business Depot‘s easyRewards Savings Card (formerly Dividends) and Sobeys Club Sobeys card. The plum rewards program is Canada’s largest loyalty program for reading enthusiasts, offering everyday discounts and special coupons at Chapters, Indigo Books and Music, Coles, SmithBooks, the World’s Biggest Bookstore and chapters.indigo.ca. PetPerks is PetSmart‘s reward program where members get a pre-determined discount on any item in the store that displays a PetPerks tag under the regular price tag. 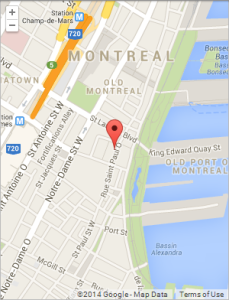 Vicinity is loyalty platform for small business retailers that was launched in May 2013 by Rogers Communications Inc. Almost every gas station in Canada offers some sort of loyalty program itself or in partnership. For example, Air Miles at Shell gas stations, Esso Extra at Esso, Petro Points at Petro-Canada, Save-On-More at some Chevron locations in BC, Canadian Tire money at Canadian Tire gas stations, or a coupon that grants the customer 3.5 cents off per litre of fuel purchased at Sobeys Fast Fuel locations that can be used at a Sobeys banner store. Loblaws grants a 1.5 cent a litre coupon similar to Atlantic Superstore, and Real Canadian Superstore that grants a 7 cent a litre coupon that can be used at their stores. Sunoco‘s CAA reward offering ends at the end of 2007, to be replaced with Sunoco’s own Performance Points reward program. The largest loyalty program in Australia is flybuys, established in 1994 and owned by Coles. It has more than 10 million cardholders in over 5.5 million Australian households. A consumer study of Australian loyalty programs in 2013 showed flybuys as easily the most popular program in Australia. Rival retailer Woolworths launched its Everyday Rewards fuel discount card nationally in 2009 and by August 2010 had 5.1 million cardholders, with 2.7 million linked to the Qantas frequent flyer program. Among other Australian retailers, the largest programs are Myer’s MYER one program (department store), the Priceline Club Card (health, beauty, home), Amcal Club (pharmacy), Millers Retail Club (apparel), and the BB Retail Capital (formerly Brazin Limited) Pulse Rewards program (Virgin, HMV, Sanity, dusk, Bras n Things, and SX sunglasses). Pulse has more than a million members. All major Australian banks offer credit cards with reward programs. Many offer points collection with the Qantas frequent flyer program or conversion to points for Virgin Australia’s Velocity Rewards program. The largest online rewards program is RewardsCentral. Perkler is a website launched in Australia in August 2009 which lists 1,800 loyalty programs and their 280,000 associated perks. The largest loyalty program in New Zealand is Fly Buys. Other significant programs include the New Zealand Automobile Association AA Rewards Card and Countdown supermarket’s Onecard. The loyalty card market in the UK is one of the most significant in the world, with most major chains operating some form of reward system. Passcard has been claimed to be the first reward scheme or discount card, created around by Gary Wilson in 1981 and later known as Passkey. One of the first loyalty cards backed by a major chain is believed to be the Sainsbury’s Homebase Spend and Save Card in 1982. Of the “big four” supermarkets, only Sainsbury’s and Tesco operate loyalty cards for general supermarket shopping, and Morrisons offers a scheme based around purchasing fuel from their filling stations. Both Nectar and Tesco’s Clubcard scheme have been criticised for not offering value for money. When Clubcard or Nectar points are used for money off supermarket shopping, they roughly equate to a 1% discount, although offers can increase this discount by as much as 4 times for certain rewards. Some retailers with banking operations also award points for every pound spent on their credit cards, as well as bonus points for purchasing financial services. A report in The Economist suggested that the real benefit of loyalty cards to UK outlets is the massive database potential they offer. Morrisons operates “Morrisons Miles”, whereby customers earn vouchers based on fuel purchases. Unusually, customers’ personal details are not collected so purchases appear not to be tracked. Vouchers are delivered at point of sale. After trials in 1994, Tesco launched its Clubcard program, the UK’s first nationwide supermarket-only loyalty card scheme, in 1995 with dunnhumby. Sainsbury’s launched its Reward Card in 1996. This was replaced by the Nectar card in 2002, which was launched in partnership with other major brands. Boots The Chemist first began planning a loyalty card in November 1993, but building a CRM-focussed loyalty program. With an investment in excess of 30 million GBP, the Boots Advantage Card, launched in 1997, is / was the largest smart card retail loyalty card scheme in the world, and the third-largest retail loyalty scheme in the UK in terms of cards issued. The Advantage scheme currently has 16.4 million cardholders using the card online and in store and at 3rd party retailers. The scheme gives a cardholder 4 points for every pound spent in a boots store under normal shopping circumstances. Most stores have kiosks which can be used in conjunction with the cards for “exclusive offers” which are printed on vouchers and can be used at the till. These vouchers enable money off specific purchases, extra points for specific purchases, or money off or extra points when spending has reached an amount specified on the voucher, or other offers such as double points on either everything of specific products. For example, a customer may get a voucher which provides 250 extra points when they have spent £50 in one transaction. Points equal pence in store, and can be spent at any time and on anything in store, providing the card has enough points to cover the entire cost of the merchandise. The patronage dividend rewarded the loyalty of the owner members of Britain’s retail consumer co-operatives since the Rochdale Pioneers of the 1840s. Paper record-keeping transformed in the 1960s into a trading stamp scheme managed by the Co-operative Wholesale Society (CWS), which was gradually withdrawn as margins declined. The loyalty card concept was used by some co-operatives to restore dividend payments at the turn of the 21st century, notably by the CWS’s “Dividend” card, which was replaced by The Co-operative Membership card program, adopted by several larger co-operatives. Safeway’s ABC Card was discontinued in 2000. Airlines, Hotels and other loyalty schemes also offer cards. Marks and Spencer and the John Lewis Partnership have credit cards which give vouchers in return for spending, and do not issue separate loyalty cards. GAME has a reward card scheme for which every pound spent a customer is rewarded 10 points; for every 1000 points that one collects, one gets £2.50 to redeem in the store, or online. Preorders earn a customer 20 points per pound. HMV has a reward card called purehmv which allows the customer to claim a variety of rewards, including in-store discounts. The UK’s largest retail bookmaker Ladbrokes launched the Odds ON! loyalty programme in late 2007, the first retail betting loyalty scheme in Europe. Customers earn points on each bet which can be redeemed for bonus jokers and free bets. Ladbrokes Poker also operates a loyalty program for its online poker players where players are able to exchange their poker points for gift & prizes. The opening of the first Best Buy store in the UK — at Thurrock, Essex, in 2010 – was accompanied by the launch of a customer engagement program called My Best Buy. This was described as “a tiered, digital loyalty and customer engagement program that is designed to build a lifelong relationship with the customer by providing a personalized experience through which they can manage their digital and technology needs.” However, this business ceased trading in 2012: the 11 stores were closed in January, and My Best Buy closed on February 29. The Ice Organisation launched MyIce.com in 2010, a scheme which rewards consumers for shopping in a more sustainable way. Ice’s mission is ultimately to promote greener goods and services to mitigate climate change, and currently works with both national and local retailers to encourage more local, sustainable consumerism. In the Republic of Ireland loyalty cards have been in operation since 1993, when Superquinn introduced its SuperClub loyalty card scheme. This is regarded as having been the prototype for such schemes in Europe. However, loyalty cards did not expand until 1997, when Tesco Ireland introduced its Clubcard scheme, shortly after its purchase of Power Supermarkets. This was essentially a simple expansion of the UK scheme (see above) – cards for this are physically identical to those used by Tesco in the UK and they can be used in both countries. Dunnes Stores responded with the introduction of their own ValueClub scheme in June 1997. Today these are three main schemes operating in Ireland, although ValueClub has been withdrawn from Dunnes’ Northern Ireland stores. All five major petrol station chains in the country operated a scheme during the late 1990s – Esso had “Tiger Miles” (with Tesco ClubCard points offered as an alternative), Maxol had “Points Plus”, both of which operated on the principle of getting items from a gift catalogue, with Shell using Dunnes’ scheme, Texaco using the SuperQuinn system, and Statoil operating a cash-back system, “Premium Club”. Due to increasing oil prices and tightening of margins, all of these schemes ended by the end of 2005. Tesco Ireland’s petrol stations still, however, give Clubcard points. GAME, a major computer game and hardware retailer also operate a cashback card scheme, which was merged with Electronics Boutique‘s programme following the separation of their northern European stores into the hands of GAME. The scheme returns one-fortieth of the spend, more than twice as generous as Tesco. The largest loyalty program in Germany is Payback, which was launched in 2000. According to a study in August 2007 by GfK, 61% of German households have a Payback card. It listed the HappyDigits program as having a 42% share, with the Shell ClubSmart program as third most popular with 13%. In March 2008, the coalition program DeutschlandCard was launched by Arvato. As at March 2009 it had more than 4.5 million active cardholders. MALINA is the Russia’s largest coalition program. MALINA was launded in 2006 by Loyalty Partners Vostok. MALINA is a loyalty card scheme comprising partner companies including BP, Rosinter Restaurants, Beeline, 36,6, Raiffeisenbank etc. MALINA program operates in Moscow and St. Petersburg bring together over 25 well-known brands. Over 6 million collectors earn MALINA point when buying petrol, visiting restaurants, making phone calls. Malina card is accepted at more than 1000 Partner’s POS. 6,096,051 Malina cards were issued from 2006 to 2012. Turnover on Malina card amounted to 1.5 billion dollars in 2012 (Malina card turnover amounted to 1.5 billion dollars in 2012. )Over 2000 goods and services are available for points in Malina catalog (or Points could be redeemed for ordering over 2000 goods and services from Malina catalog). Loyalty programs are popular in Switzerland, with the two main supermarket chains, Migros and Coop prominent. The M-Cumulus card can be used at the Migros supermarkets, Ex Libris (books, DVD’s), SportXX, and other retailers. The Coop Supercard earns points on purchases at Coop and a variety of other associated stores. Other stores such as Interio, a furniture retailer, are also joining the market with loyalty cards and store-based incentivised credit cards. In recent years, online loyalty programs have also started to target the Swiss. First to make an offering in Switzerland was German-based Webmiles. Claiming to be Switzerland’s first online bonus program, Bonuspoints was launched in early 2008 and offers incentives for shopping at 70 different online stores. Loyalty programs are popular in Italy, with the two main supermarket chains, Esselunga and Il Gigante, leading the field with their offerings. Other stores such as Interio, a furniture retailer, are also joining the market with loyalty cards and store-based incentivised credit cards. Loyalty programs are also widely spread in the Fast Moving Consumer Goods Industry, where companies use this powerful tool to establish long-lasting brand-consumer relationships. The very first example of a loyalty program in the food industry has been the 2008 “Lavazza Carmencita digital collection” followed by many other Brands such as Barilla, Casa Modena-Giravolte and Tena Lady of the Multinational Sca Hygiene Products. Two coalition loyalty programs in Hungary are SuperShop and Multipoint. SuperShop was established in April 2000 and is backed by premium partners hu:SuperShop Spar, OBI, OMV, Photo hall, Burger King. VOILÀ Hotel Rewards launched in June 2008 with “Husa Plus],” a co-branded loyalty program for Husa Hoteles. The Husa Plus program is currently offered at approximately 145 Husa Hotels, primarily located in Spain. Barcelona-based online travel agency Budgetplaces launched its loyalty programme in early 2011. My budgetplaces lets clients earn credit every time they make a reservation. Airline companies offer loyalty cards for passengers to provide discount. Pegasus Airlines has a loyalty program called Pegasus Plus which gives rewards for every flight. Passengers can spent reward points as a discount without waiting to cover a full flight. Hong Kong offers many loyalty programs which include Octopus Rewards, which started as a chip based smartcard for transport and now, the Octopus cards can be used to earn points in certain shops, including McDonald’s and Wellcome supermarket. Another loyalty program is for travelling on the heavily patronaged (3.65 million/day) MTR railway system in Hong Kong, known as the MTR Club. In terms of shopping or purchasing groceries, one can use the MoneyBack card at PARKnSHOP supermarkets. The first Iranian loyalty program launched in 1996 by Iran Credit Card Group “Zarrin Card”(or Advantage Card)., “East Credit Card Group Kish” also launched loyalty cards since 2005 in Iran. These companies manage many brands in the same platform, such as Iran Zoggs and Novin Leather. The Maadiran Group has a loyalty programme. Centro Friends card is a loyalty card for Shoppers of Centro Department Stores. The Love Your Body card is the loyalty card for The Body Shop stores in Indonesia. Other notable programs in Asia include KrisFlyer, the Singapore Airlines rewards program. Payback India (formerly i-mint) is India‘s largest coalition loyalty program, with 12 million members, over 30 partners and 3000 network partner outlets, with 120 billion INR of sales generated through i-mint-cards in 2009. German loyalty program operator Loyalty Partner took a controlling interest in i-mint in June 2010 and renamed the program Payback India in July 2011. Hero’s GoodLife program claims over 10 million members. BPCL’s PetroBonus fuel card program has 2 million members. Indian Oil‘s fleet card program XTRAPOWER and retail program XTRAREWARDS claim a combined customer base of 3 million. The Maruti Suzuki AutoCard, launched in association with Citibank and Indian Oil had 370,000 cardholders as in October 2008.Kingfisher Airlines FFP King Club had 2 million members as in October 2010. Shopper’s Stop has been offering a loyalty programme called First Citizen for well over a decade for regular customers. Other retailers like Lifestyle (The inner Circle loyalty Programme) & Reliance Retail also have their own loyalty programs. Debit card loyalty programs include State Bank Group’s Freedom Rewardz, is perhaps the largest in the world with over 110 million customers enrolled. The program is operated by Loylty Rewardz. Pinpoint operates programs HSBC and Standard Chartered Bank. The immense potential and sheer size of the consumer base in India has already attracted players like Groupe Aeroplan and Loyalty One into the country. In Malaysia, the BonusLink program was introduced in a joint venture between Shell, Parkson, Maxis and MBF. The BonusLink program is coalition with earning and redemption partners allowing members to earn points at a number of Malaysian retailers. Genting Highlands Resort has its own loyalty card, WorldCard (same as mentioned below) that is primarily used to gain points in Genting Highlands’ Resorts and Attractions. However, it can also be used for Starbucks, Coffee Bean and Häagen-Dazs and it is valid in three countries, namely Malaysia (where Genting Group is based), Singapore and Hong Kong. Jusco also has its own loyalty card, known as Aeon Card. In early 2008, ValueClub Marketing and Services Sdn. Bhd. launched it V-Kad at North Malaysia especially in Penang state. V-Kad has actively joint by various industries such as F&B, fashion, saloon and optics. It provides V-Kad members to collect V-Points to redeem gift and exchange services with the participating merchants. In Singapore, the three largest loyalty programs are Plus, WorldCard (aggregate program of Genting Resorts, Suntec City Mall, Star Cruises & Indigoz) and SAFRA Card. The LinkPoints Programme has more than 1 million members and over 600 participating merchant outlets. The French retailer, Carrefour has recently introduced a new loyalty scheme whereby customers can earn and redeem points for purchases made in the store, and also earn additional points for all purchases made using a Carrefour branded credit card. The largest online rewards program in Taiwan is RewardsCentral (formerly known as EmailCash). The Smartclub program allows all Shanghai residents to earn SmartPoints free, each time they take the subway, bus, or taxi. Those SmartPoints can be combined with points earned at McDonald’s, eLong, Sport100, cinemas, bookstores, and other SmartClub partner retailers. Across the globe loyalty programs are increasingly finding the need to outsource strategic and operational aspects of their programs, given the size and complexity a loyalty program entails. Program managers are typically agencies with specialist skilled in loyalty consulting, creativity, communication, data analytics, loyalty software, and back end operations. The advent of Web 2.0 and SaaS online-based services has provided lower-cost options for small businesses to offer and manage their own loyalty programs. Moreover, there are many free and open source alternatives to manage user awards and incentives. Loyalty cards are becoming mobile (i.e. Cardmobili, Loopt, and Nokadi). Recently there has been a move away from traditional magnetic card, stamp or punchcard based schemes to online and mobile loyalty programs. While these schemes vary, the common element is a push toward eradication of a traditional card, in favour of an electronic equivalent. The choice of medium is often a QR code. Some prominent examples are the US-based Punchd (discontinued from June 2013 ), which became part of Google in 2011. and also an Australian based loyalty card application called Stamp Me  Others, like Perka (US), Loyalli (UK) and Maze (Aus) have offered similar programs. Passbook by Apple is the first attempt to standardize the format of mobile loyalty cards. In three cities, some independent coffee shops have set up experimental ‘disloyalty card’ programs, which reward customers for visiting a variety of coffee shops. Loyalty and credit-card reward plans may be viewable as modern-day examples of a kickback. An employee who needs to buy something (such as a hotel room or an airline flight) for a business trip, but who has discretion to decide which airline or hotel chain to use, has an incentive to choose the payment method that provides the most credit card rewards or loyalty points, instead of minimizing cost for the organization.Companies complain that these loyalty programs discount goods to people that are buying their goods anyway, and that the expense of doing these programs rarely show a good return on the investment. Other critics see the lower prices and rewards as bribes to manipulate customer loyalty and purchasing decisions, or in the case of infrequent-spenders, a means of subsidizing frequent-spenders. Commercial use of the personal data collected as part of the programmes has the potential for abuse. It is highly likely that consumer purchases are tracked and analyzed towards more efficient marketing and advertising; in fact, this can be one of the purposes of the loyalty card. To some, participating in a loyalty program (even with a fake or anonymous card) funds activities that violate privacy. There has also been concern expressed regarding RFID technology being introduced to loyalty cards. Maximiles United Kingdom have been branded as one of the most hated companies in the Loyalty Scheme industry. After taking over ipoints in the United Kingdom, customer service has been heavily criticised by users and former users whom, after contacting maximiles UK that they have not received their payments, have their accounts deleted, making unfair financial advantage for maximiles and distress for the victim. Some users are calling maximiles “a scam”. Users of Maximiles United Kingdom have also complained that their personal information have been unlawfully sold onto and then abused by third parties. Again, maximiles have closed the accounts of users who complained even though they can prove that maximiles are responsible. Wikimedia Commons has media related to Customer loyalty cards. ^ Sharp, Byron and Anne Sharp (1997), “Loyalty Programs and Their on Repeat-Purchase Loyalty Patterns”, International Journal of Research in Marketing, 14 (5), 473-86. ^ “Stop & Shop Card Holders Can Save $10 on Seasonal Immunization”. Stop and Shop. 10 September 2009. Retrieved 2 September 2011. ^ “Supermarket Club Card Disclosure Act of 1999”. FindLaw. Retrieved 2007-07-25. ^ Geron, Tomio (2011-12-14). “Belly Targets Paper Punch Card With iPad-Based Loyalty Service”. Forbes. ^ “Canadian Tire Money loyalty program”. CanadaLoyalty.com. Retrieved 2007-11-23. ^ “Groupe Aeroplan Adopts New Name and Global Brand Identity”. Aimia.com. Retrieved 2013-11-22. ^ Speedy, Blair (17 February 2011). “Coles supermarket to overhaul FlyBuys scheme”. The Australian. Retrieved 27 February 2011. ^ “Australia: FlyBuys launches iPhone App”. Colloquy. 29 June 2010. Retrieved 17 August 2010. ^ “And the best loyalty program goes to… Coles”. B & T. 20 May 2013. Retrieved 20 May 2013. ^ “Woolworths reports solid profits”. Australian Food News. 26 August 2010. Retrieved 27 August 2010. ^ “Brazin’s Pulse goes over the 1 million mark”. The Wise Marketer. 25 September 2006. Retrieved 2007-07-25. ^ “Reward for Young Scot”. The Glasgow Herald. 29 August 1989. Retrieved 21 February 2010. ^ “A trip to Alton Towers? That’ll be £2,000, please”. London: The Independent. 14 August 2005. Retrieved 2007-07-25. ^ “How Tesco is changing Britain”. The Economist. 4 August 2005. Retrieved 2007-07-25. ^ “Safeway scraps loyalty card”. BBC News. 5 May 2000. Retrieved 2007-07-25. ^ “Maximiles acquires ipoints to create Europe’s no. 1 online coalition loyalty company”. E-consultancy. 19 July 2006. Retrieved 2006-07-19. ^ a b “Brochure”. Maximiles Group. Retrieved 17 August 2010. ^ “Studien”. Loyalty Partner. Retrieved 2008-05-15. ^ “Voila launches Husa plus loyalty Program”. Colloquy (free registration required). Retrieved 2008-09-10. ^ EnGrande. “EnGrande Company Milestones 2011”. Budgetplaces. Retrieved 21 Dec. 2011. ^ Iran Credit Card Group. ^ a b “Payback India’s bet”. Business Standard. 20 July 2011. Retrieved 28 July 2011. ^ a b “i-mint and Payback team up in India”. Colloquy. 17 June 2010. Retrieved 18 June 2010. ^ “BPCL celebrates PetroBonus 10th anniversary”. Chennai, India: The Hindu. 15 October 2009. Retrieved 9 March 2010. ^ “Indian Oil does a hat-trick at the 3rd loyalty summit”. XTRAPOWER. Retrieved 9 March 2010. ^ “Cellphone in New Role: Loyalty Card”. The New York Times. 2010-05-31. ^ “Google Kills Punchd Mobile Loyalty Card App”. 2012-12-17. ^ “Google’s Punchd acquisition to push mobile wallet uptake”. 2011-07-12. ^ “Stamp Me app replaces loyalty cards”. 2012-11-26. ^ “10 Best Money Saving Apps”. 2013-04-12. ^ Steve Annear (15 December 2011). “Local coffee shops start “Disloyalty Card” campaign”. ^ Jennifer Bain (12 April 2010). “Disloyalty has its privileges”. The Star (Toronto). ^ Albrecht, Katherine. “Why getting a shopper card under a fake name is not the answer”. Consumers Against Supermarket Privacy Invasion And Numbering. Retrieved 2007-11-23. ^ Blau, John (2004-03-01). “Metro Store bows to pressure from anti-RFID activists”. InfoWorld. Retrieved 2007-11-23. This article uses material from the Wikipedia article customer loyalty program, which is released under the Creative Commons Attribution-Share-Alike License 3.0.